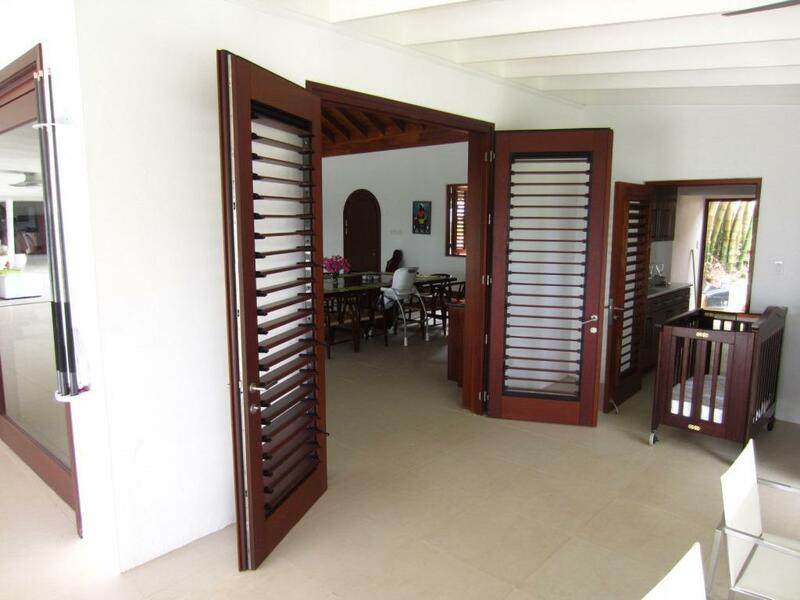 This luxury house project in Kingston, Jamaica uses Breezway Louver Windows in custom wood doors. 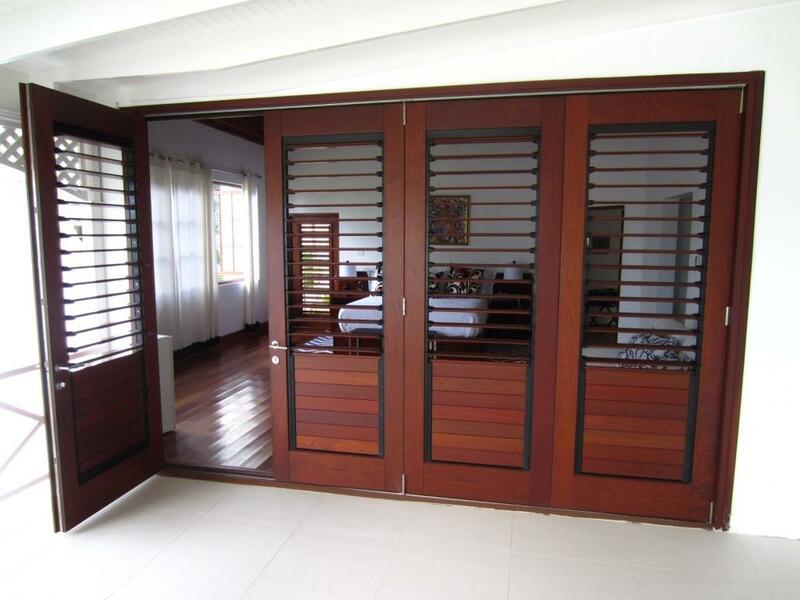 Dougall Doors & Windows were the supplier for the project and they have utilized the Breezway 4” Altair Strip Hardware in dark bronze with wood clips, and have milled the doors and blades to suit. 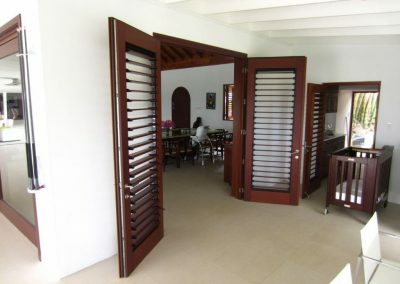 The louvre/door combination has been incorporated into the living room which opens out onto an entertainment area, as well as in the entrance to the main bedroom. By installing jalousies into such doors, privacy can be retained while the occupant can control the amount of ventilation entering the room to keep it at a comfortable temperature. Further to this, the handle configurations have been selected for unique splits between the lower and upper blades to make it easier for the occupant to control.